You just came home from a long day of work. You sit down in your kitchen and look around. The more you look at it, the more you think, “Hmm…I would like a nicer kitchen to come home to!” or “This place could use a little remodeling.” Deciding what you want for your home means there lot of different styles, colors, materials, etc. from which to choose. And if you are anything like most home-owners today, you want to keep up with the trends. If you want to be the hubbub of your neighborhood, fear no more! 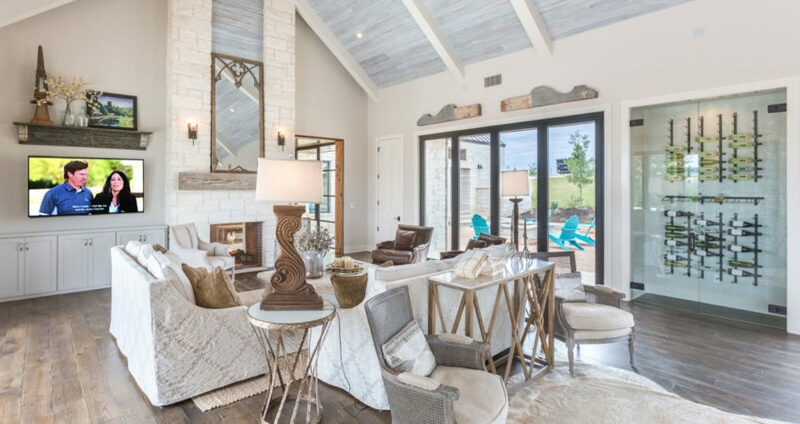 Whether you are looking for a new trendy home to move into, or just redecorating for a new look, here are the Top Five Home Design Trends! A mix of modern and rustic, this look is perfect for those who like their southern style polished. 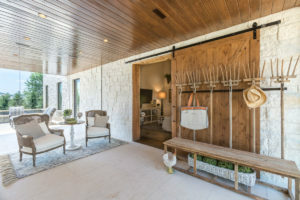 In a Modern Farmhouse, you will find different elements such as wooden beams, white stone, bright lighting, whitewashed wood, and homespun décor. With the use of large windows, clean lines, and warm undertones, this style gives a feeling of openness. This look is great for the family. 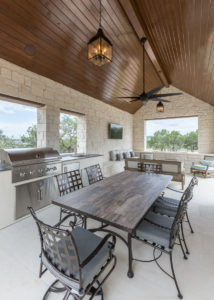 From grilling BBQ in the outdoor kitchen, to enjoying a glass of wine in the bathtub, this is luxury for the current cowboy. 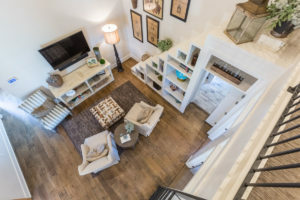 A lot more homes are starting to incorporate lofts, which is an open space higher up in the house that can be converted for any kind of use. You could turn your loft into a reading nook, or a place for the kids to have their own creative space. But what makes a loft even more fun, is the way you get to it. 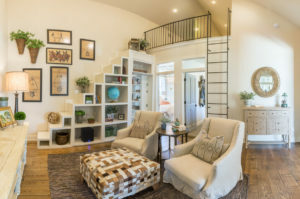 One way to spice up your loft is by making a bookcase into a staircase. This makes the way up more fun for the kids and still accessible for adults. This trend is becoming more relevant since parents prefer to have their rooms closer to their kids’ rooms, instead of at the opposite end of the house. Screens, especially smartphones, have begun to change the way families interact. 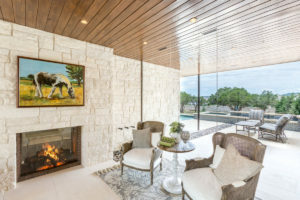 When it comes to a modern home, “togetherness” is usually replaced with the glam of technology. But when the secondary bedrooms are near the master bedroom, Mom and Dad can pop in and out of their kids’ rooms more easily. Time to put the technology to the side! For the family that plays together and stays together, it’s good to have the proximity that most parents love. 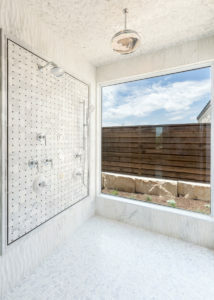 A refreshing space you would love to step into on a hot summer’s day is the outdoor shower. Nothing is more exotic than taking a shower to the sounds of nature. Take a shower in your own private garden! Get a nice tan while cooling down! 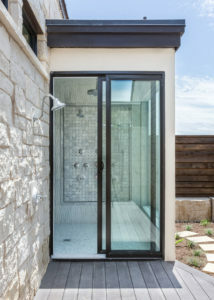 Outside showers are not only luxurious, but they are practical, too. Now after that long run, you can rinse off before hopping into the pool. And after your swim, washing off the chlorine just got a lot more convenient. More and more people have admitted that they don’t use the bathtub all that often. And when they do, they prefer it to be in a more secluded spot. No more is the bathtub the adorning feature in the center of the room. The freestanding tub is perfect for this. It is not only practical for placement, but also classy and vintage. You can have it up against a window, or in a more private corner. 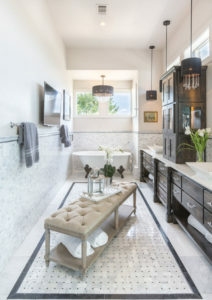 The smaller footprint of the freestanding tub in your Master Bath also maximizes the space in the bathroom. Now you have more space to move around and can have a larger shower; so every bathroom visit feels like a day at the spa. After finding the perfect home, or finishing your remodeling projects, you finally can sit back and enjoy! Coming home from work is now a whole new experience that makes you feel good from the moment you step into the space. All in all, your home should reflect you! The fun part of doing the research on what you want for your home is finding what fits you. As they say, “home is where the heart is”. 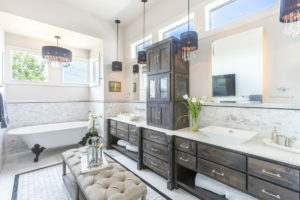 Understanding what makes you excited and inspires you and then bringing it to life is the fun, daily privilege of the designers and builders at Jenkins Custom Homes Design+Build. To read more about their unique process for learning all about you, check out the “Lifestyle Analysis” interview.